My post this month as a post of the Char-Broil All-Star Team was about fire roasting veggies on the grill. We have been on a roasted carrot kick so I knew what I wanted to do. I came up with this Fire Roasted Carrot Soup with Poblano Crema. 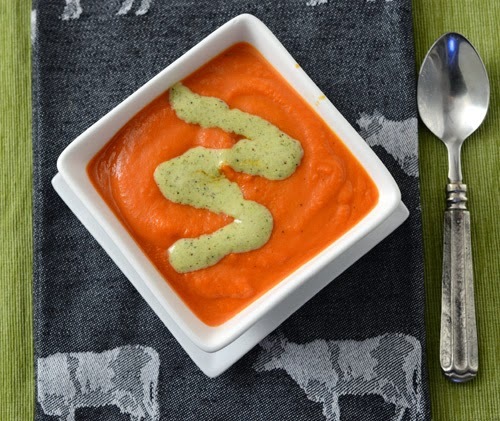 The rich taste of the carrot soup and the sultry char of the poblano crema kind of warms you up from the inside out. What? Yes, I did a vegetarian recipe but it wasn't on purpose. It just tasted good this way.